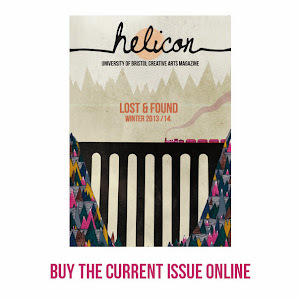 Helicon Magazine: BIG THANKS TO ALL OF YOU! Today the blog hit 100,000 views so we'd just like to say a huge thank you to all our readers both of our print editions and the blog. Our final submissions for the first issue of this year is fast approaching so don't hesitate to send us any submissions you might still have. We hope you're looking forward to the coming issue and will carrying on viewing our blog for interesting finds!